Think of the many different products and services that are purchased and consumed each day – how do they reach the end-user? What does this cost? What happens when something goes wrong? Logistics and Supply Chain Management (SCM) are the areas of study which help us to explore and answer these questions. Today they play a very important role in underpinning the success of many organisations across the public and private sectors and impact how we live our lives. While the origins of logistics and SCM are firmly embedded in the manufacturing domain, the successful applications of logistics and SCM principles and practices are becoming increasingly relevant in the services area also – see for example, the many changes that have recently been driven into healthcare systems and airlines. Global Logistics and Supply Chain Management, now in its third edition, provides essential reading for anybody studying SCM and logistics. Encompassing both practical and strategic perspectives, it takes a truly global perspective, recognising the transnational nature of logistics activities in today’s world. 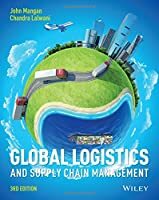 18 up-to-date chapters on all aspects of logistics and SCM, including coverage of emerging and important topics such as security, technology and automation in logistics, supply chain data flows, logistics and the internet of everything, sustainability, supply chain vulnerability and trade facilitation. 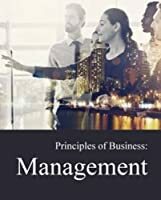 New chapters include one on management science applications, which provides an easy and clear introduction to key quantitative techniques that can be applied to logistics and SCM. 12 updated case studies, including new case studies on air cargo, port–city logistics, automobile manufacturing logistics and logistics infrastructure appraisal.